Did we really want 500+ worker hornets in our living space? 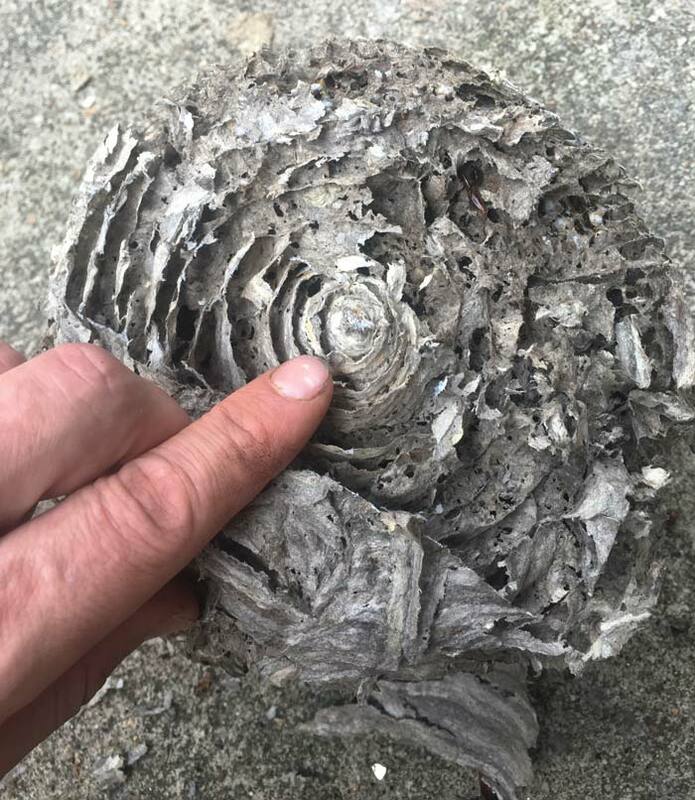 The bald-faced hornet nest on our back porch on July 9. You can see the outside layers under construction. The workers start each layer from the top down. As the bald-faced hornet nest expanded in size and number of workers, we decided we’d take the hornet nest down. Borrow our bee-keeping neighbor’s bee suit. Go out at night, cover the nest with a pillow case, and cut it off of our porch overhang. 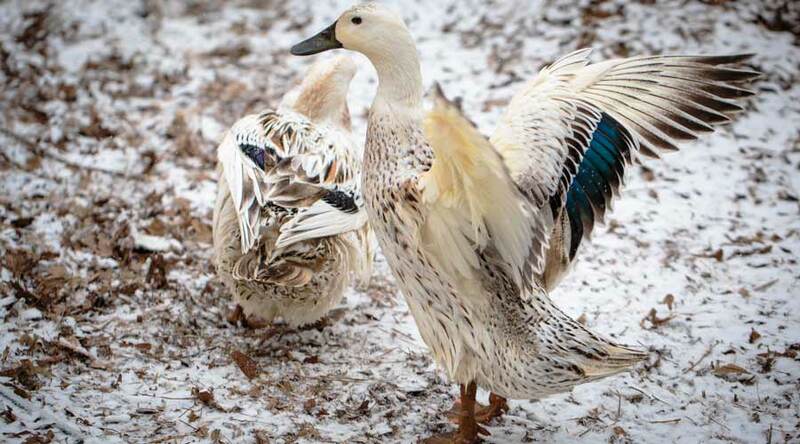 Drown the hornets in a bucket or cooler of water (we don’t use insecticides since we eat our yard and have pet ducks who regularly forage around our deck). 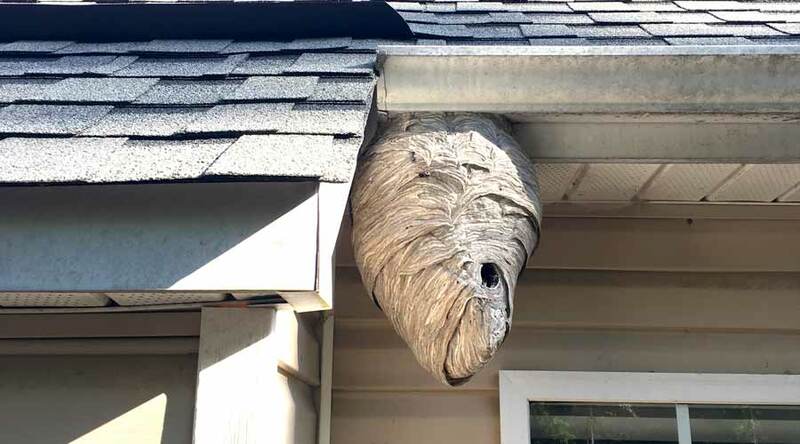 Since I love insects, the thought of doing this made me a little sick to my stomach, but it beat having one of us (or a pet) get stung by the hornets. So we picked up our neighbor’s bee suit and got everything ready for the removal of the bald-faced hornet nest. Then The Tyrant and I made the mistake of reading more about bald-faced hornets from various sources, from Wikipedia to entomologists to university extension agencies. Our general philosophy is if we’re going to kill something, we at least have an obligation to learn about it so: a) we know we’re making an informed choice, and b) we know it’s necessary. We learned more about the social structure of the colony. We learned more about how bald-faced hornets are amazing predators, help control populations of other insects, and also serve as pollinators. We also found out that bald-faced hornet nests are only active for one season. Before the first frosts and freezes of fall hit, the colony’s queen will have laid new queens that will fly out of the nest, become impregnated, and overwinter. 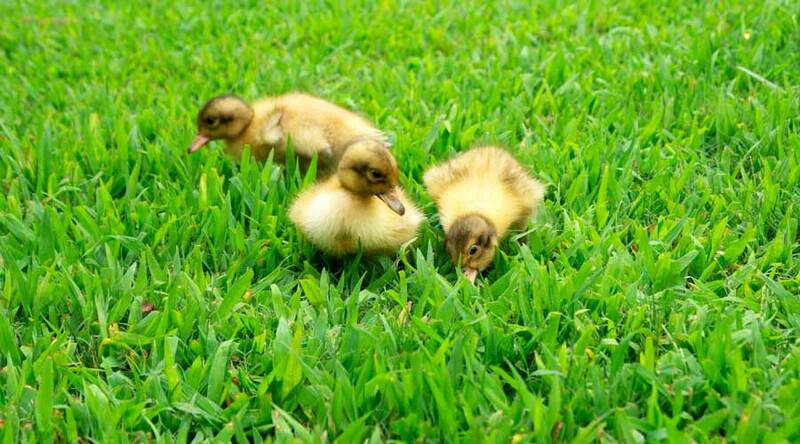 When the weather warms, they’ll emerge to start new nests elsewhere. All the remaining bald-faced hornets (including the queen) in the old nest will die with the onset of cold weather. The next day, we returned our neighbor’s bee suit. We decided we’d do our best to coexist with our bald-faced hornets for the remainder of the warm weather season rather than killing them. The same bald-faced hornet nest on Oct 13. This was its final size. As best we can tell from searching our googler, nobody has ever died due to a bald-faced hornet attack. However, they do aggressively defend their nests, so anyone with small children or severe allergic reactions to their venom might view them as dangerous and prefer not to live near them. 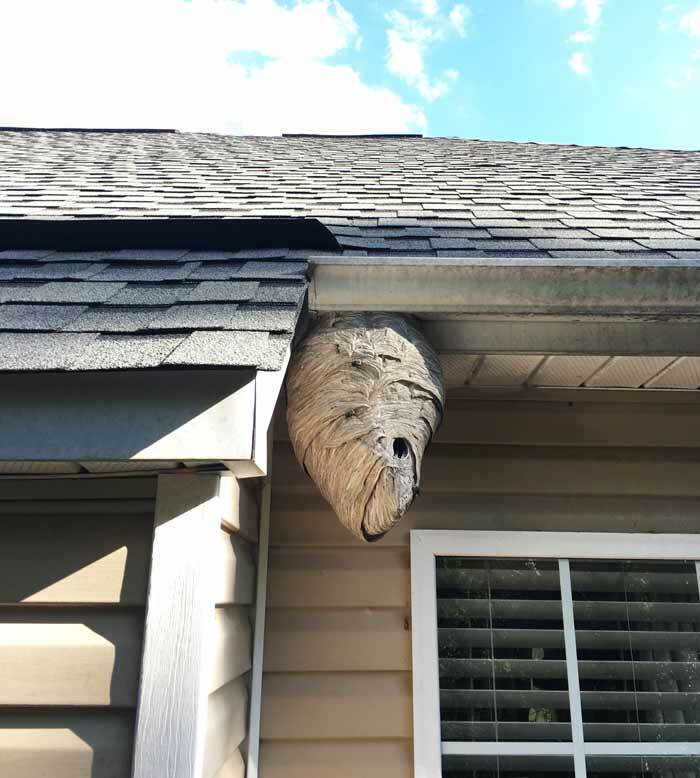 Despite their scary reputation, our colony of bald-faced hornets seemed to recognize us and our cat as non-threatening since we regularly spent time on our back porch near their nest without ever causing harm or coming too close. Many times, I’d go well within 10 feet of the colony to observe them coming in and out of the nest’s single exit/entry hole, often carrying caterpillars and other insects they’d hunted in our garden. When the temperatures hit freezing last fall, all the bald-faced hornets in the nest died, as expected. We left the nest up over the winter since dealing with it wasn’t high on our priority list. 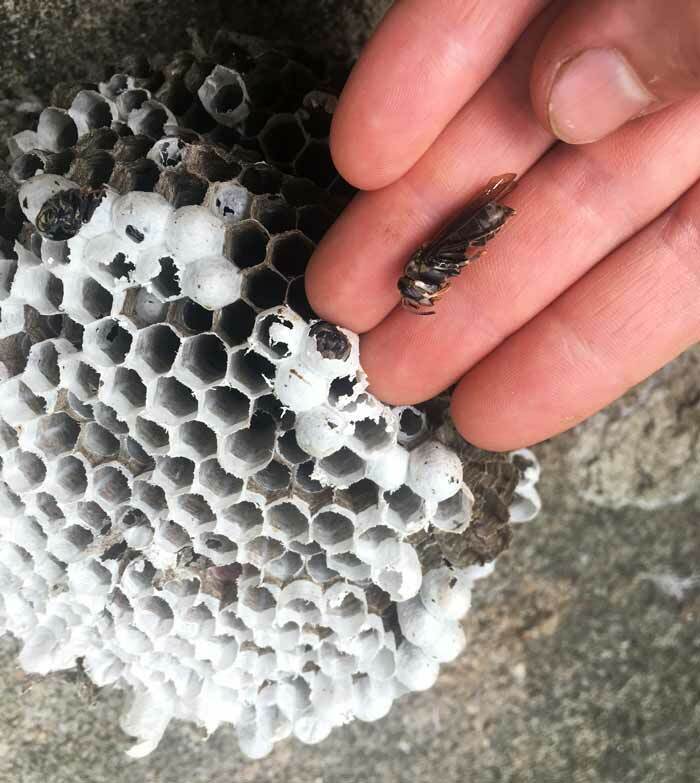 Plus, we were curious to see how the structure held up over the winter without any bald-faced hornet workers to maintain it. Last week, we used a knife to cut the nest off of the porch overhang and to take a closer look at the structure inside. As you can see in the photos below, it was amazing! 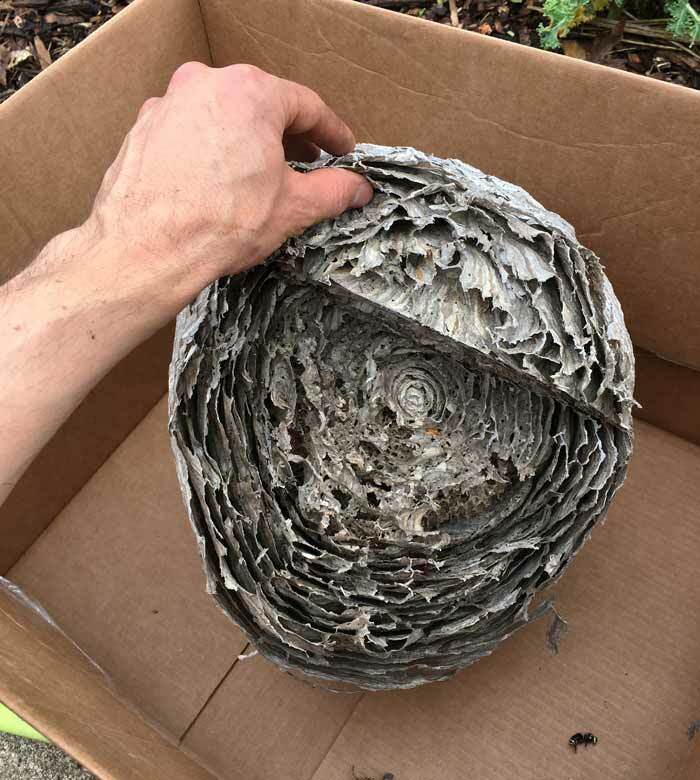 Here’s the bald-faced hornet nest in a box immediately after we cut it off of our roof overhang. You can see that the nest remained largely intact throughout the winter, despite numerous severe storms. The only visible damage is around the entry/exit hole. Here’s a closer look at the back side of the hive. The texture, color, and detail of the paper is absolutely extraordinary. 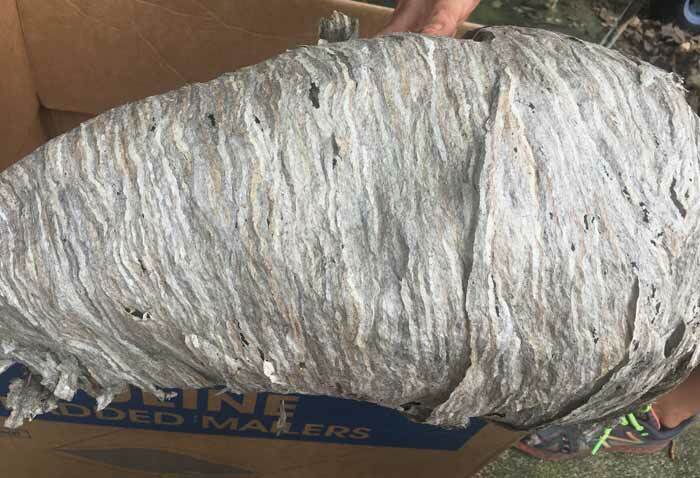 Bald-faced hornets chew up wood and other fibrous materials to make this paper. 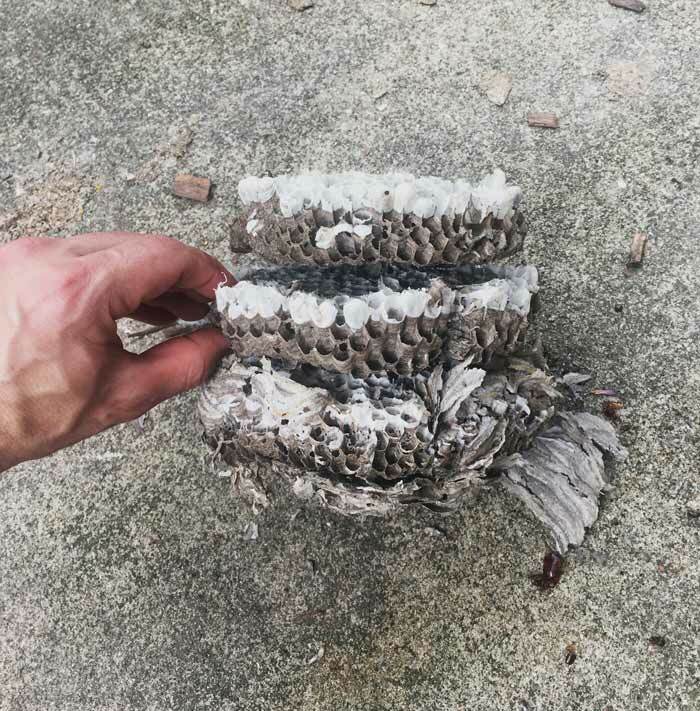 A closer look at the bald-faced hornet nest paper. Aren’t the various layers of color extraordinary? We saved a bunch of this paper to make into human artwork. 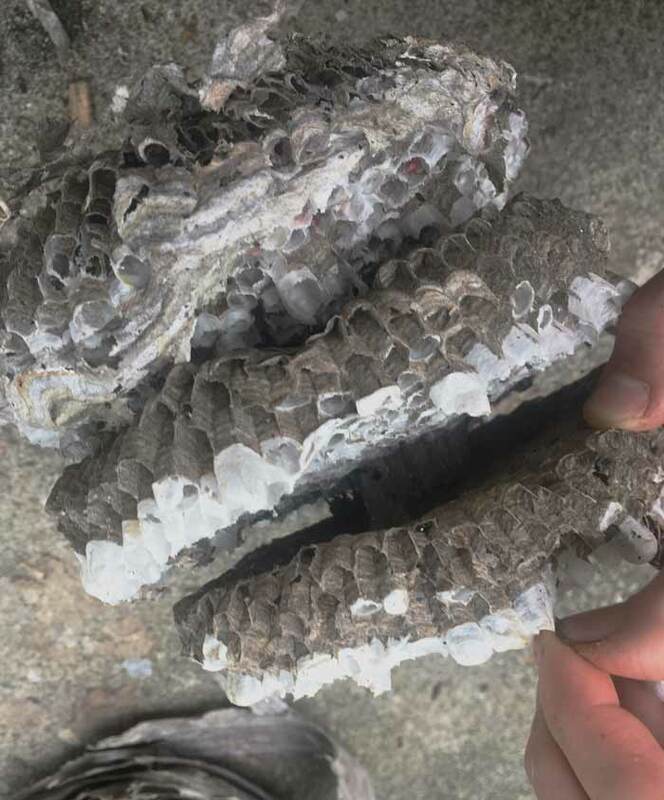 The beginning of the bald-faced hornet nest dissection – here’s a cross-section view. Imagine the amount of time and work it took for these little insects to construct each layer of the nest. The nest seems highly multifunctional, serving as protection from predators/parasites, protection from weather, and insulation to regulate internal temperatures. Perhaps the colors on the paper even serve as a social statement about the health/wellness of the colony to other nearby bald-faced hornets, in the same way that humans adorn themselves and their possessions with jewelry, makeup, clothing, paintings, etc. The internal breeding combs where new bald-faced hornets are raised. 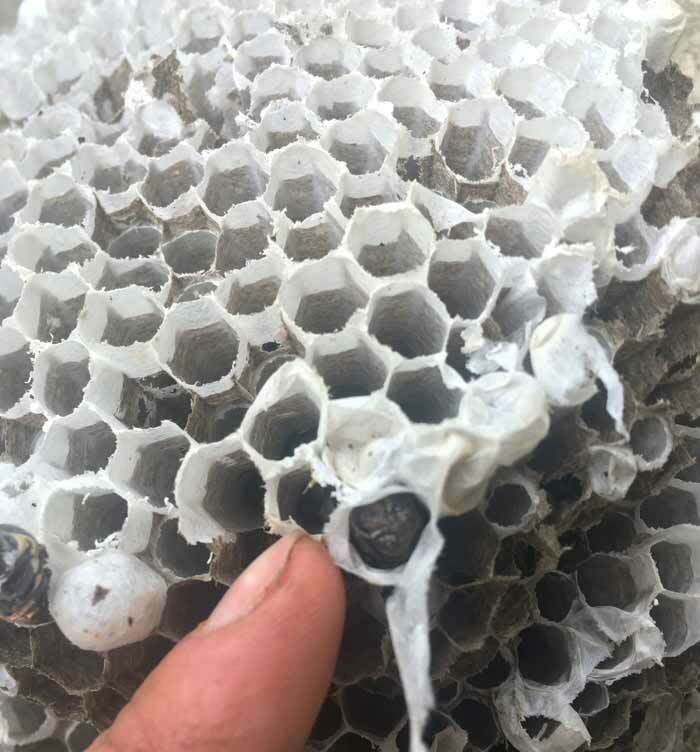 This nest had a stack of three combs inside. 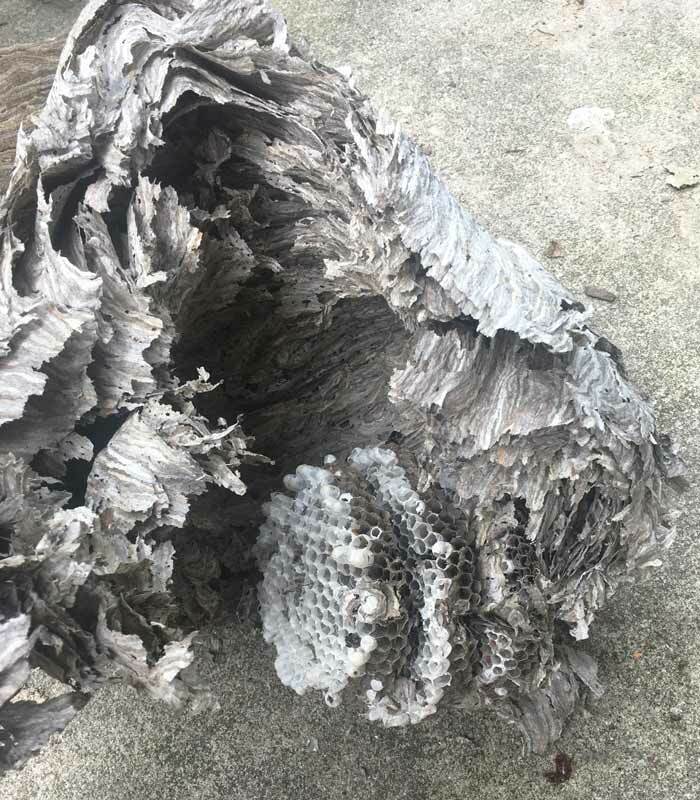 A closer look at the combs inside the bald-faced hornet nest. Here you can see a dense internal paper shaft/stem in the center that links the combs together and provides the foundational structure for each comb. Here’s the top of the comb where it originally attached to the inside of the nest. 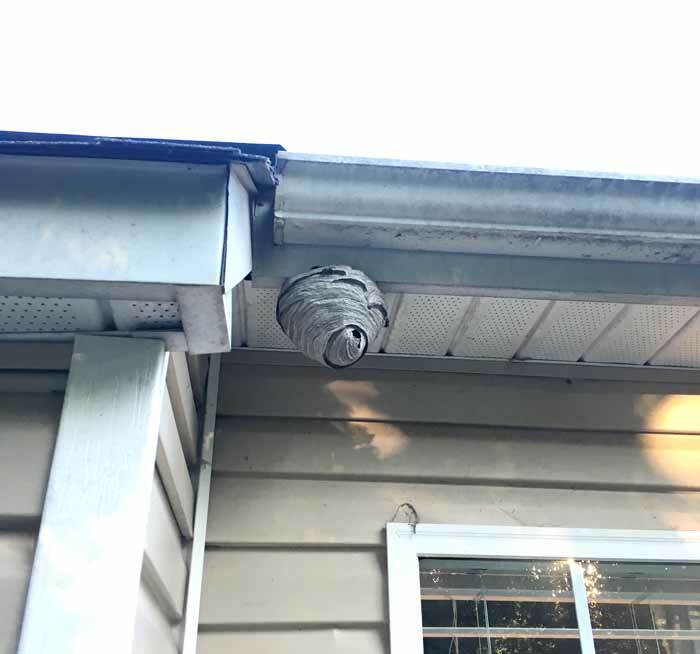 The outer nest layers were all attached to the overhang on our porch, rather than having a single point of contact. A closer look at the comb… Each cell represents a new bald-faced hornet (workers, drones, or future queen). The cells that are opened hatched last summer. The ones that are closed never had time to hatch before cold weather hit. Here, we tore open a cell to expose a hornet that died before emerging. 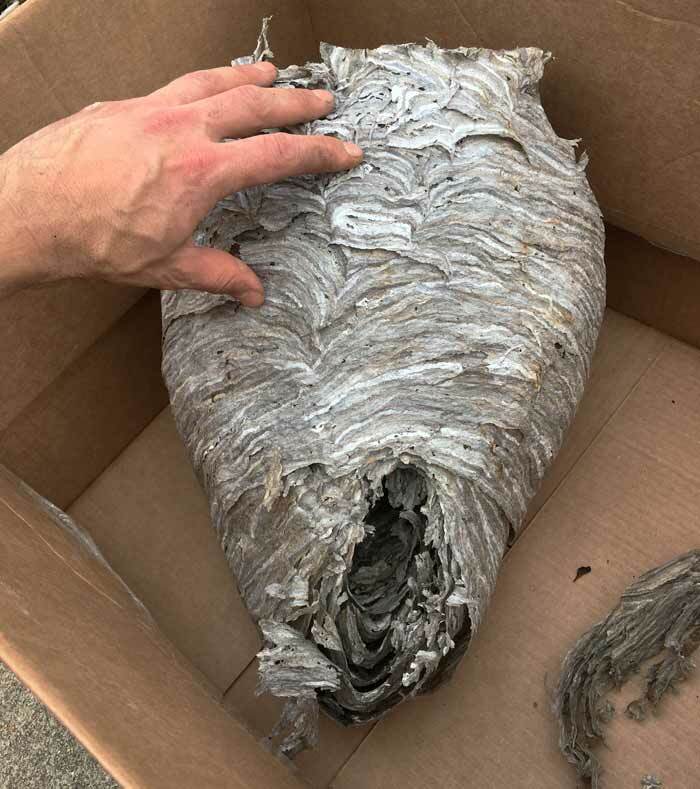 A dead bald-faced hornet was laid late in the season and didn’t have time to emerge from its cell before cold weather struck. The colony dies at the end of each season, but not before producing queens that fly off and overwinter elsewhere before starting new colonies the following spring/summer. Insects play so many vital roles in nature. 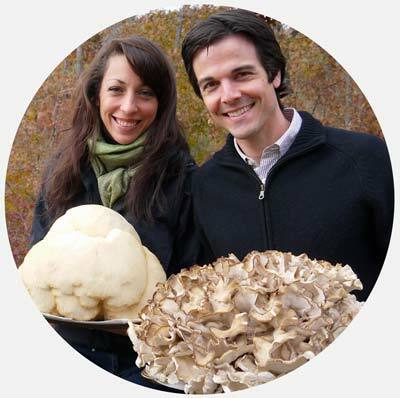 They’re nutrient recyclers, pollinators, predators, food for larger organisms, and so much more. It’s no stretch to say the survival of insects is critical to the survival of human beings. Yet you may have heard about the massive declines in insect populations around the world in recent decades. 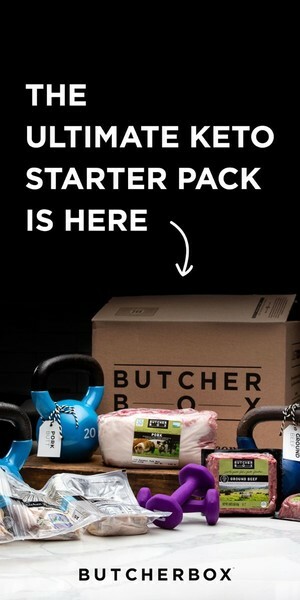 Have a yard? 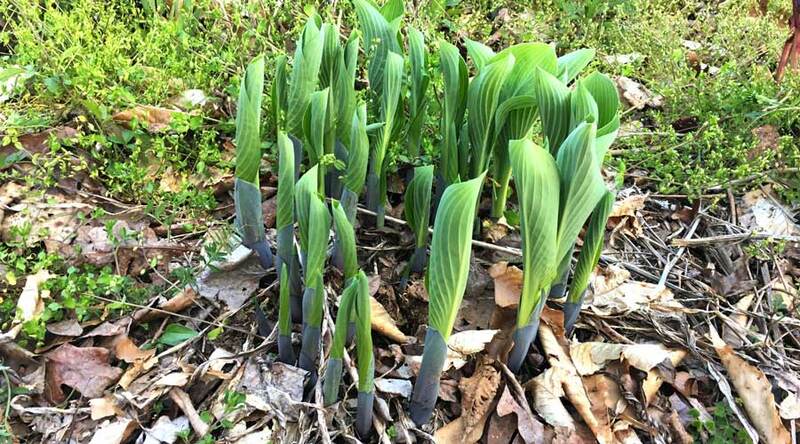 Recognize it as potential habitat for trillions of above and below ground insects. 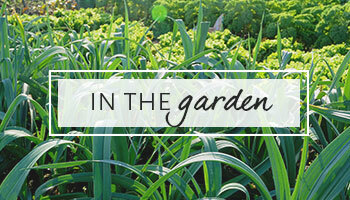 Grow a diversity of plant species, especially flowering plants, using organic growing methods. 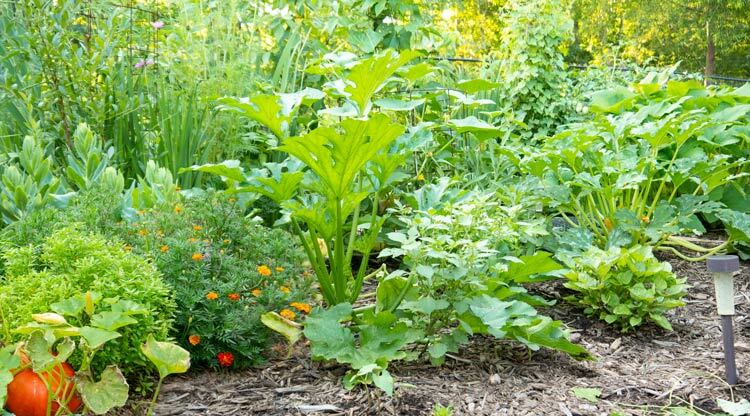 In fact, we recommend turning your yard into an organic edible landscape which makes a lot more sense than simply growing grass. 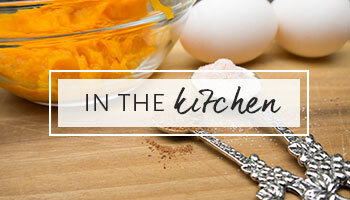 Only use pesticides — whether insecticides or herbicides — when absolutely necessary. If it is absolutely necessary, use OMRI-listed, organic products rather than synthetics. Perhaps most importantly, take an interest in nature (which you’re a part of, not apart from). It’s abso-fricking-lutely amazing what’s happening all around us all the time. We’re often completely oblivious to it because our brains don’t have the knowledge necessary to allow it to come into view. The more you know, the more you’ll be amazed — and the more likely you’ll be to create environments that have a regenerative ecological impact.